Mexico was Colombia’s guest of honor this year, which spurred increased promotion, exposure and negotiations to improve fares and air connectivity. The 35th edition of the Vitrina Turística Anato 2016 showcased Mexico as its guest of honor in Colombia, which is why the Riviera Nayarit and Puerto Vallarta generated so much exposure and interest among the 35 thousand attendees at the fair, which took place from February 24-26, 2016 in Bogotá. The Riviera Nayarit Convention and Visitors Bureau and the Puerto Vallarta Tourism Board, together with the Mexico Tourism Board, were intensely invested in the event. The destinations’ appreciation cocktail welcomed over 150 journalists and managers of the country’s top accounts. The closing ceremony also revolved around Mexico and, by extension, the Riviera Nayarit and Vallarta. There were timely business meetings with the operators who currently have a commercial partnership with the destination: Pelícanos Tours, Turivel, CIC, Luz Verde and Travel Depot. The team invested their time and effort in resuming the partnership with Aeroméxico in order to obtain the fare parity operators have been requesting in regards to Cancun, the top competing destination within this market. There was also a meeting with Interjet to discuss a commercial partnership. The establishment of a codeshare agreement between Aeroméxico and Avianca will allow for enhanced connectivity to the destinations, not only via Bogotá-PVR, but also via connections with other Colombian gateways, opening the doors to a wider Colombian market. 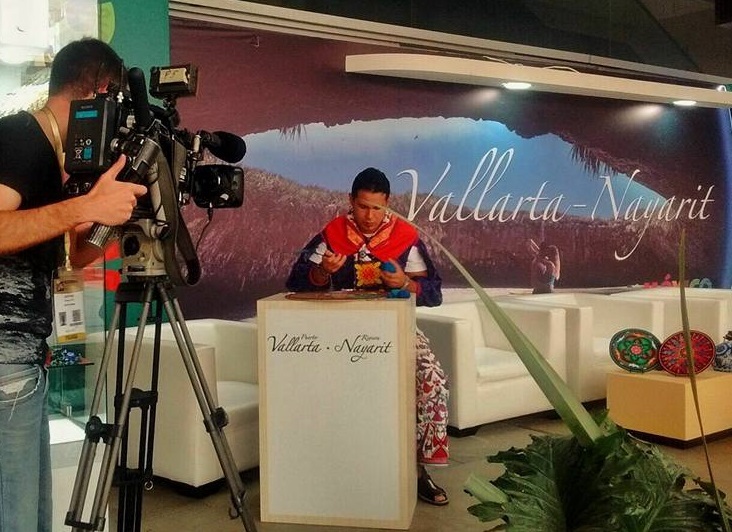 The presence of Cialu Valadez, Cultural Ambassador for the Riviera Nayarit, caused a stir among the attendees for his exquisite artisanship, a tool he used to generate several interviews and promote the region. The mariachi band played its music to full effect, capturing the attention of the participants as well. After Mexico, the United States, Canada and now the United Kingdom, the rest of the countries together represent 1% of the countries of origin for visitors to the Riviera Nayarit; of that percentage, Colombia is in first place with 17% of visitors.